Significant achievements have been made in the past decade in revitalizing the Ugandan economy, but poverty levels remain high. The formal private sector has grown, but still comprises a low proportion of the total economy, and its capacity to grow further and faster is held back by weaknesses in the regulatory environment. 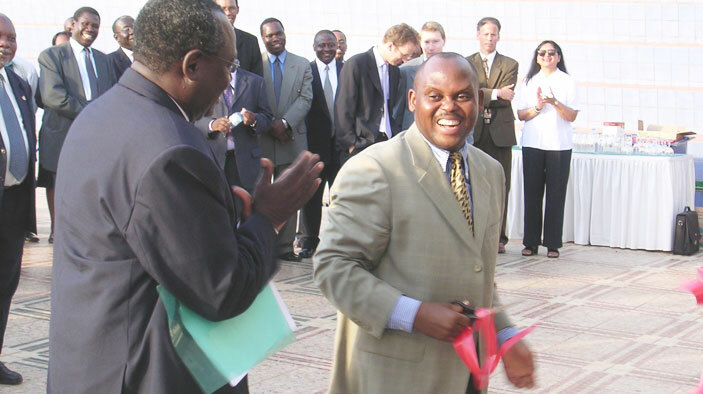 From 2000 to 2003, DAI managed the U.K. Department for International Development (DFID)-funded Deregulation project in Uganda, designed to improve the regulatory environment for business growth. The second phase of the project (2003 to 2007) focused on creating national capacity for regulatory best practice in Uganda. The project team worked closely with senior civil servants, Members of Parliament, business leaders, and civil society organizations. The project developed a holistic and inclusive approach to better regulation: blending the team’s experience in economic impact appraisal with social cost-benefit analysis and environmental impact assessment, and bringing a wider range of stakeholders into the consultation and public debate process. Introduce regulatory impact assessment into government policy processes. Raise awareness and implement public education campaigns. Build capacity of civil society organizations and business organizations to influence the policy agenda. Facilitate reductions in administrative and regulatory barriers faced by businesses while protecting important social and environmental standards. Produced a streamlined business registration system pilot in Entebbe that reduced compliance costs for enterprises by 7.5 percent and raised registration numbers and fee revenues by 40 percent, while reducing the cost of administering the system. The pilot also reduced opportunities for corruption and resulted in improved relations between business and the local authority. Made a case for reform by quantifying the cost to government and the private sector of retaining the status quo. Identified principles based on international benchmarks of good licensing practice, explaining what the lessons from other countries might mean for Uganda. Implemented the reformed licensing system through public awareness programs for entrepreneurs and training activities for central and local government officials.